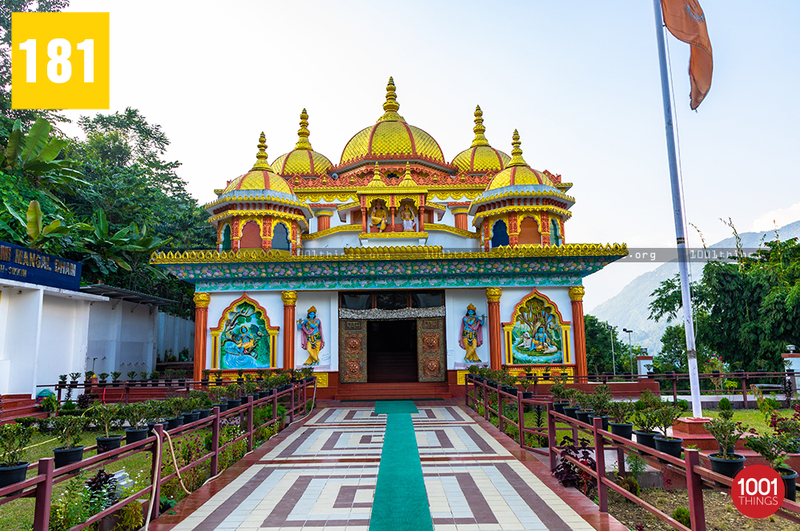 Sri Krishna Pranami Mangal Dham Mandir in Bermiok Sikkim is one of its kind in the state. 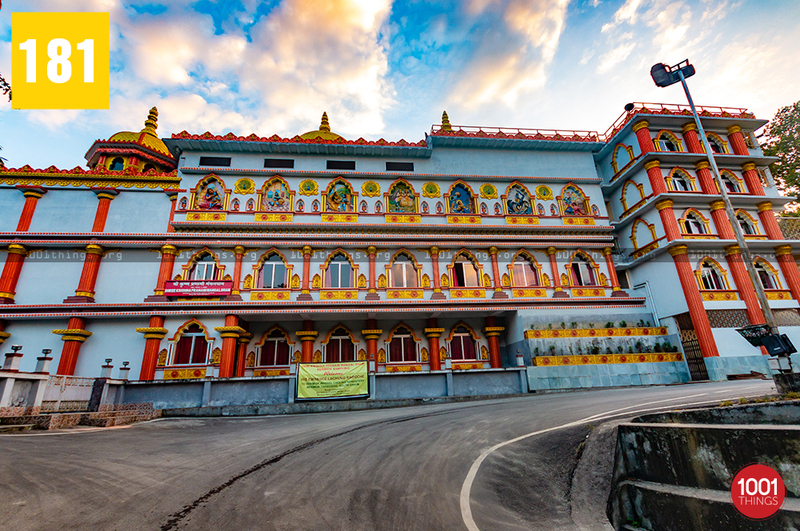 Located in Namphing Bermiok, South Sikkim, the temple is a religious and pilgrimage site for the Pranami Hindus. This religious place is located enroute to Namchi which is one of the famous destinations in the southern part of Sikkim. The temple was inaugurated by the Chief Minister of Sikkim- Dr. Pawan Chamling on 20th January 2017. Set at the lap of the Himalayas, the Temple itself is an excellent portrayal of architecture and a fabulous creation of art. There are carved statues of Krishna on each side of the entrance. 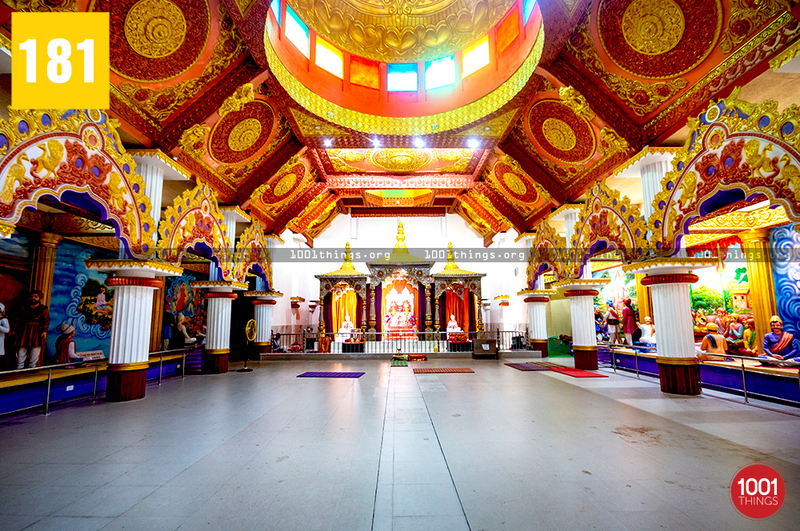 The roof of the temple has 5 large golden painted parasol or umbrella-like structure embedded with carvings and designs. 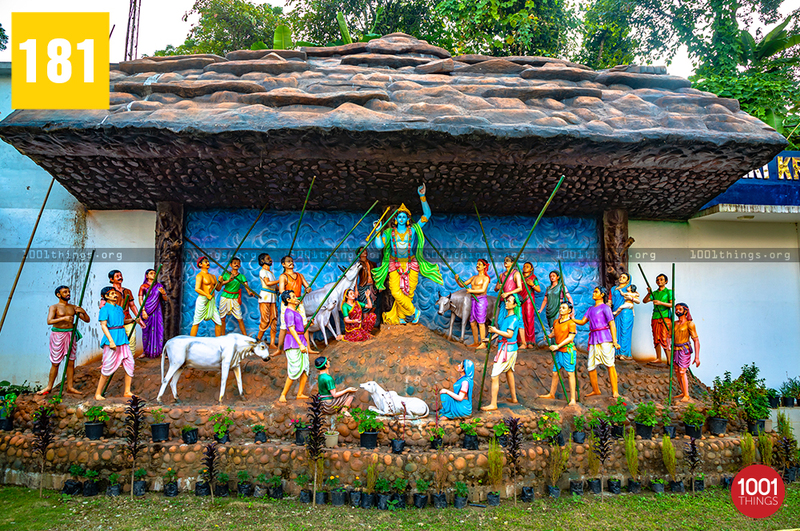 A statue of Krishna and his wife in a sitting position is placed in front of the parasols. The key teaching of Shri Krishna Pranami Dharma is the Dharma, which doesn’t prejudge or discriminate any person on the grounds of caste, creed, religion, and gender. 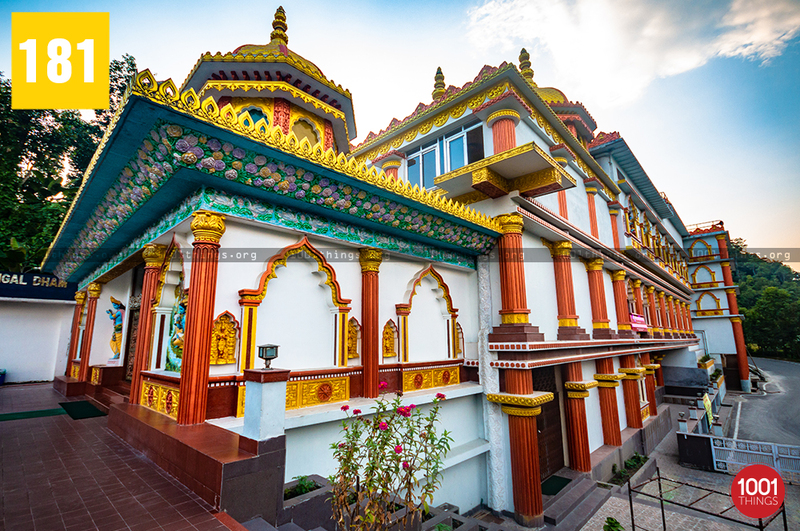 The temple was established under the administration of Chief Minister Dr. Pawan Chamling. 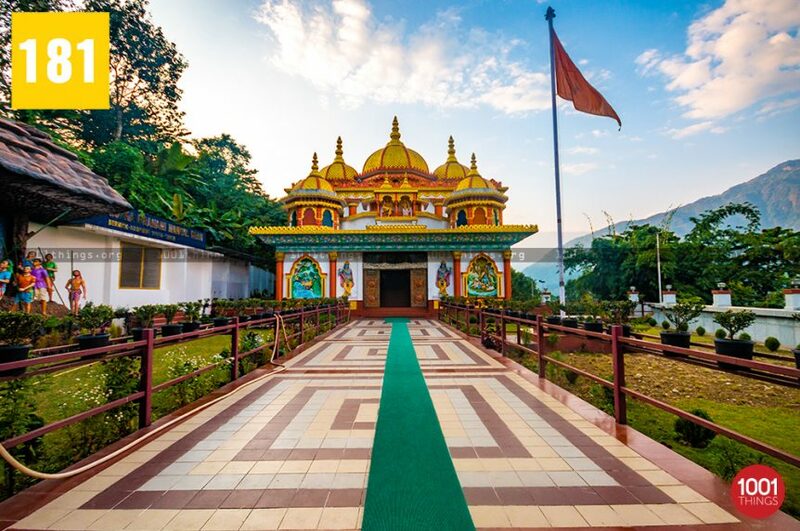 The Chief Minister intended and promised to make Sri Krishna Pranami Mangal Dham Mandir, the largest temple for Nijananda Pranamis of Sikkim. The Yearly (Barsik ) Puja Mandir Anniversary was held in 20th January 2018. Besides, an extended and a month-long Janmashtami festival was held and celebrated at Sri Krishna Pranami Mangal Dham Mandir. Even the Jagat Gurus address the devotees with the spiritual and religious doctrines or ‘prabachans’. Sikkim is an aesthetically incredible and peaceful state. The Government believs and promotes peace and respects all faiths and religions equally. 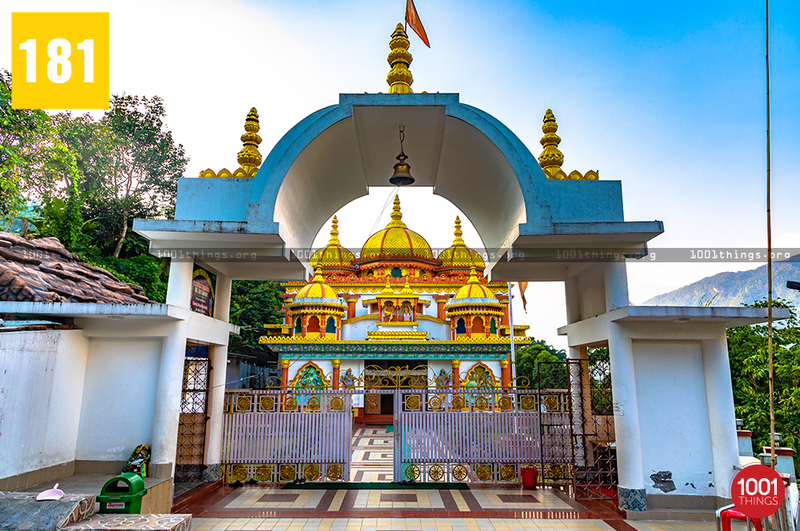 Sri Krishna Pranami Mangal Dham Mandir is an outstanding example of the state’s tranquility and the harmony amid the multi-racial and multi-religious communities dwelling there. The temple is constructed through 100 % state funding. 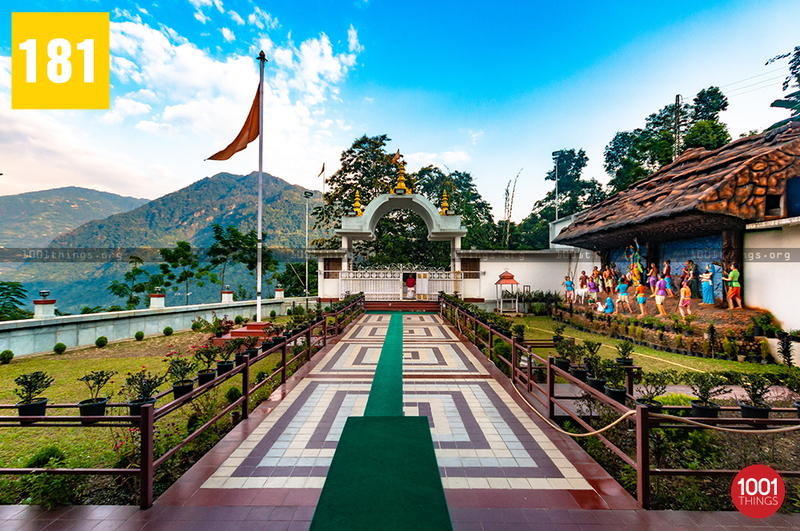 Sri Krishna Pranami Mangal Dham Mandir, Bermiok, Sikkim is much than a pilgrimage site. 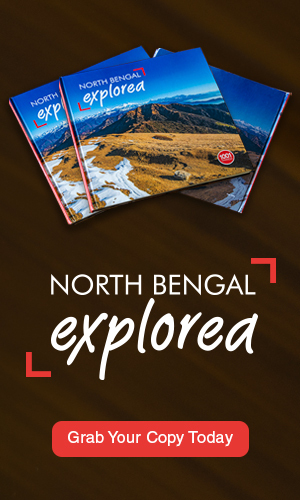 It is growing as one of the major tourist attractions in Sikkim.